Hi there! 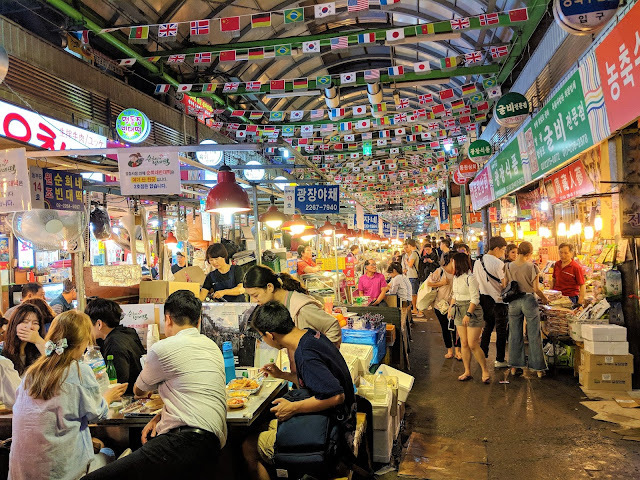 Are you a fan of braised intestines like me? If yes, then this post is for you! 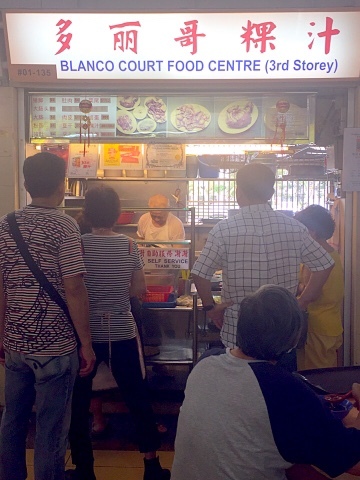 I always see a long and slow queue at Blanco which without fail, makes me give up trying their Kway Chap. Today no long queue yippie! While waiting for my turn, I could not not find the price for their mixed set. I only saw the pricing for additional top-ups. When it was my turn, the lady prepared my chilli and cutlery on the tray. I waited like an eager beaver. 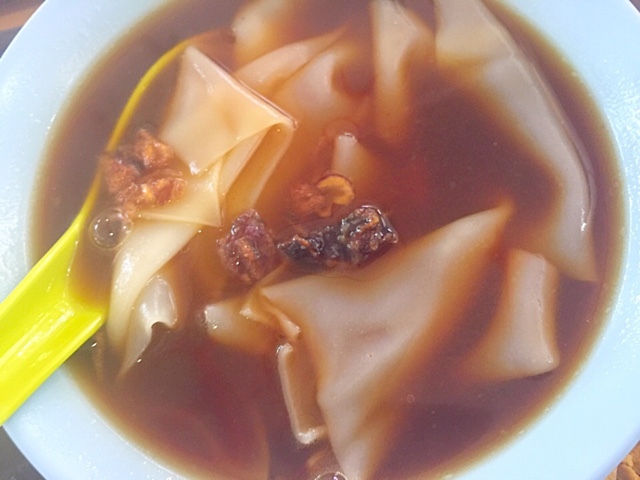 When the plate of Kway Chap was presented to me at a price of $5.40, I was dancing in my heart because of the generous amount of ingredients. Usually for a basic mixed set, the ingredients are quite skimpy. Look at the appetising intestines! I adore Da Chang (Big intestines)! For Fen Chang lovers, you might be disappointed because I did not see any in my mixed set. As I tucked into my hot bowl of kway and chap, the fresh and clean intestines were infused with the aroma of the braised sauce. 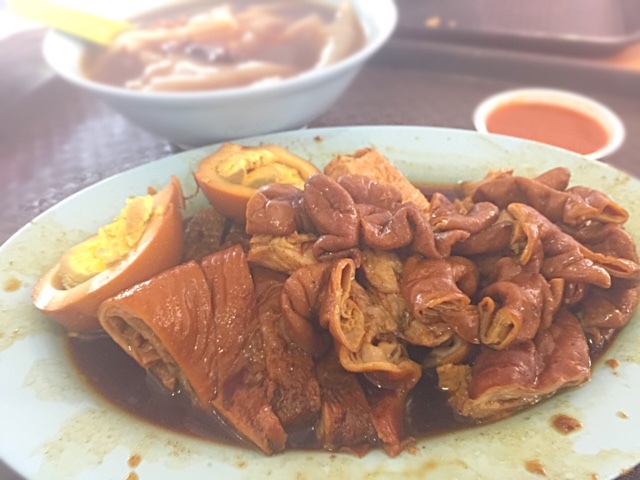 The top criteria for Kway Chap to me is that the intestines must not taste bitter and Blanco has done justice to this dish. Chewy, salty, and yummy. As it was a mixed set, the Dou Pok and meat are buried under the intestines. I did not give it full marks because I still prefer braised pork belly but Blanco's version was very lean meat. The meat still tasted tender and sweet, no smelly porky taste. The Kway was one of the nicer versions as it was relatively thin and smooth. If you are in the vicinity and you are craving for fresh and clean braised intestines, Blanco is the answer. I am not sure if I would join the queue though because Old Airport Road Hawker has other goodies as well.